﻿International Yoga Day: Calendar, History, Tweets, Facts, Quotes & Activities. 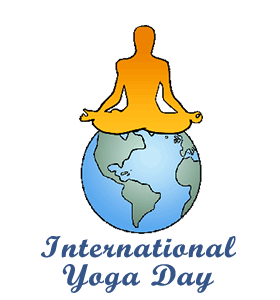 International Yoga Day celebrates yoga, an ancient physical, mental and spiritual practice. Today, yoga, which originated in India, is one of the world's most popular pastime activities. In September of 2014, India’s Prime Minister proposed the establishment of an International Day of Yoga to promote international peace and cooperation. His request was granted by the United Nations General Assembly in December, 2014 in an effort to highlight the benefits of yoga to physical well-being and to world peace and development. On June 21st, 2015, the first International Day of Yoga was celebrated worldwide, leading to a new Guinness Record for the largest yoga lesson, consisting of nearly 36,000 participants, in India's capital, New Delhi. Yoga practicioners were 36.7 million in 2016, up from 20.4 million in 2012, according to a study by Yoga Alliance and Yoga Journal. Among the hundreds of yoga varieties, Hatha Yoga is the most popular. It consists of many postures, meditation and breathing techniques. The word yoga is derived from the Sanskrit language. The word means to join or unite, referring to the union of body and mind. Doga was invented in 2002. It's a form of yoga for a dog and owner that aims to created harmony and energy flow between the dog and the owner. Stretch at home. Stretching will help do yoga and will also help you relax and work out muscle stiffness from daily activities and routines. Do yoga! International Yoga Day is a great time to pick up this pastime and perhaps get a discount, if not, check Groupon for some more affordable offers to try yoga. Take a moment to relax and listen to your heart beat. A large part of yoga is mental and spiritual and requires that you are relaxed and in control. Watch a documentary about the benefits of yoga and how they can change negative experiences and improve quality of life. Our favorites: Why We Breathe. A Yoga Documentary and Enlighten Up! . Sign up for a yoga retreat in a spot of your choice. Retreats can last any amount of time and aim to help participants connect with their inner selves and relax throughout the day.